"I come in peace." 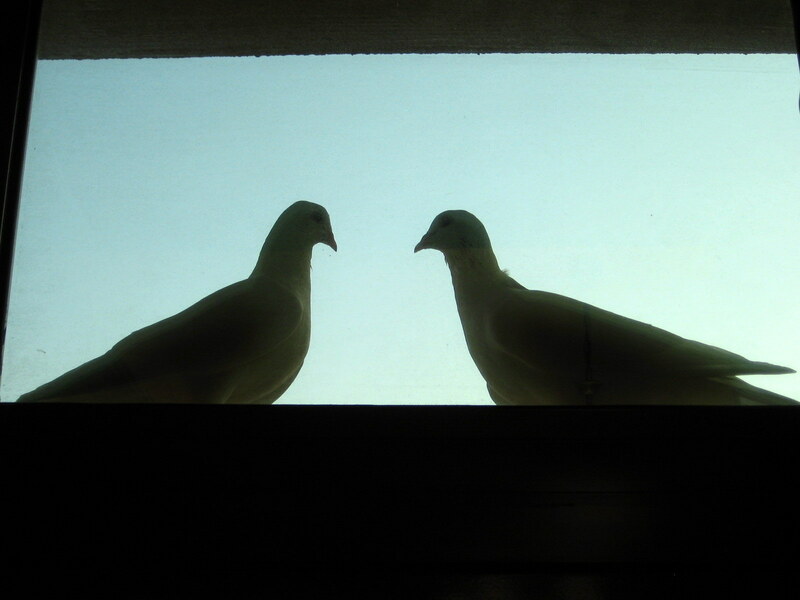 Two doves meeting on my windowsill, Abu Dhabi, UAE, 12 October 2009. I post this as a prayer for a return to peace and for nonviolent, democratic progress during these turbulent days in Egypt. Hear hear, Sam. It was so sad to see the violence yesterday. I don’t feel qualified to comment upon the political ins and outs, but the news here reported the pro-government protestors were ‘paid muscle’ ferried in cause trouble. My heart goes out to all those caught up in it, all those who’ve been killed or injured, and I pray all sides might find a peaceful resolution… Cynicism thinks that’s unlikely.